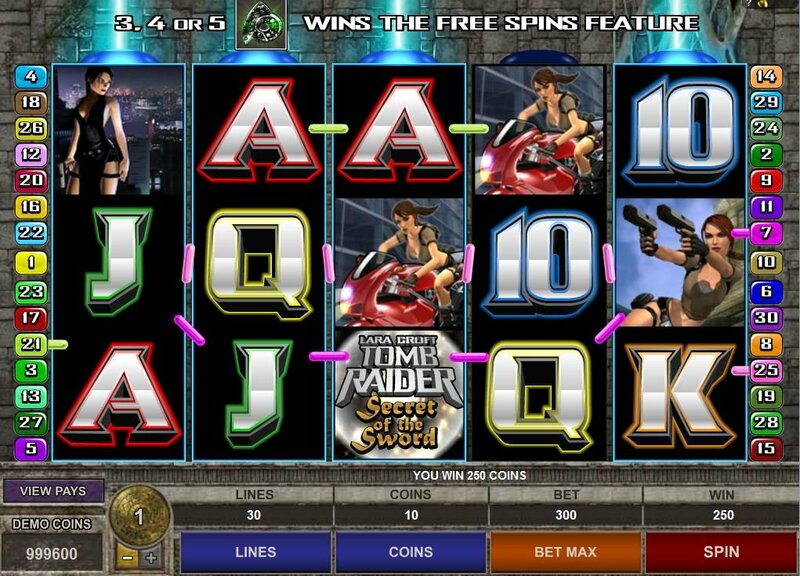 Fans of Lara Croft will want to try the Tomb Raider Secret of the Sword video slot. The slot recreates the popular video game turned movie, comic book, and novel. The 5-reel, 30-payline slot features images of the English archaeologist and ancient relics that will transport you to her world of extraordinary adventures. The adventurous 3D graphics feature one of the most popular ladies in video game history. Lara Croft pushes it to the extreme cruising on a speed bike or climbing steep cliffs while packing her signature pair of pistols. Suspenseful music adds to the drama of the game. Other cool images include Lara Croft’s passport and ancient relics. The adventurous 3D graphics feature one of the most popular ladies in video game history. Lara Croft pushes it to the extreme cruising on a speed bike or climbing steep cliffs while packing her signature pair of pistols. 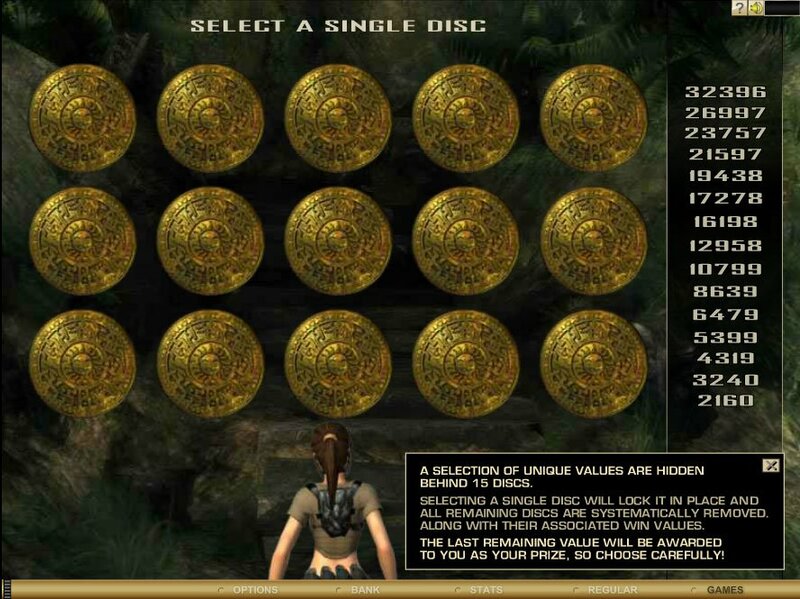 Lucky players who win the Shootout Bonus stand in front of a selection of discs hiding mysterious values. You shoot at the discs until your selected value reveals. 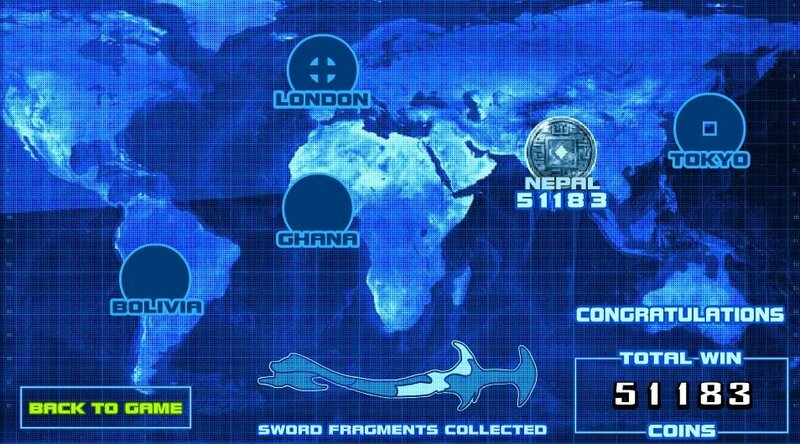 Tomb Raider Secret of the Sword also includes plenty of free spins as well as a Super Mode. The Super Mode randomly activates and awards 5 free spins. In addition, when playing the game with Spin Casino, you can grab 100 Free Spins on Tomb Raider: Secret of the Sword Slot every Sunday for a full year. The bonus offer is automatically triggered every time you make a deposit. Simply remember that each 100% match bonus has a maximum limit, and rewards you with more Free Cash as you increase your transaction value.